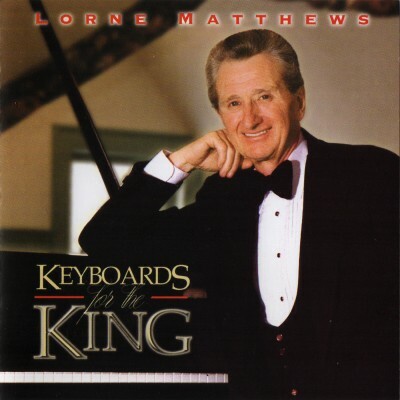 Lorne Matthews presents a wide variety of musical styles at the keyboard. An Oscar Peterson jazz lick introduces the old southern gospel classic “Goodbye World Goodbye.” Lorne’s arrangement of the beautiful “Moonlight Sonata” will catch the ear of even the non-classical hearers. If any one song identifies Lorne Matthews at the piano it would have to be “The Battle Hymn of the Republic.” You will be transported to some European cathedral when you hear the pipe organ sounds of “A Mighty Fortress is Our God.” If you enjoy variety, skill and excellence, this project is a must for your library.